*Cordoba, within the rich Valley of the Guadalquivir, is an important centre in the field of Agribusiness. B.- The Science and Technology Park of Cordoba Rabanales 21 provides an environment of excellence for the implementation of innovatiion, R & D and high value added services. It is an engine of economic development for the province, in which tasks are integrated into Research, Production, Innovation and Commercialization. Its history is amazing. Founded by the Carthaginians, conquered by the Romans and occupied by the Goths, Córdoba reached the peak of her splendour as the Xth Century caliphal capital of Al-ANDALUS. It became the most brilliant city in Europe serving as a bridge between East and West. Cordoba houses treasured monuments of four civilizations whose global recognition came from the hand of UNESCO in three occasions. In 1984 The Great Mosque Aljama was declared a WORLD HERITAGE Site. In 1994 most of the historic center was honored with the same recognition. In 2012 its "PATIOS" were nominated an INTANGIBLE WORLD HERITAGE site too. In 2012 its "PATIOS" were declared an INTANGIBLE WORLD HERITAGE site too. - Cordoba’s central geographical location, which in the past has contributed to its splendour, remains an advantage when planning visits and excursions to the most important Andalusian cities : Seville is 130 km away, Granada is 170 km. In addition, Madrid is just over 90 minutes away by high speed train and Barcelona can be reached in 5 hours. - No less important are its people: hospitable, kind and slow walking because everything is so close. 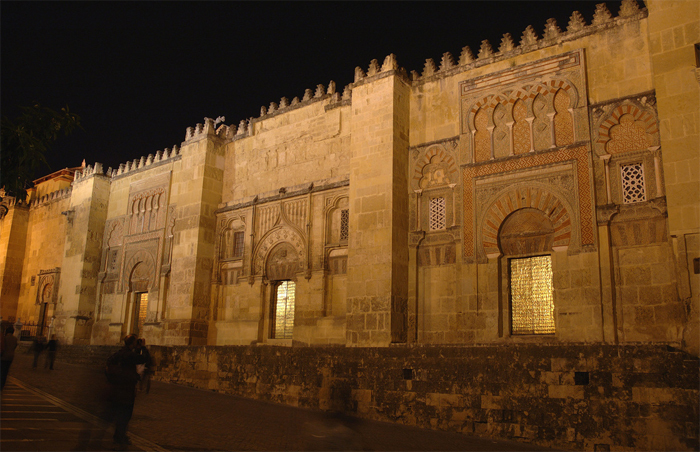 - Córdoba is still a city on a human scale that enriches us with its art, beauty, and tranquility. • In 1984 The Great Mosque Aljama was declared a WORLD HERITAGE Site. A Bientôt à Cordoue ! Arrivederci!! Auf Wiedershen!